In the war on drugs, a neutral zone is hard to find. The battle over Vancouver's Insite has been a case in point. From the start, the debate has been highly polarized. On one side are those who argue that drug addiction is a disease and that supervised injection sites save lives. On the other side are those who argue that we should be treating addicts, not enabling them. Now that the Supreme Court has put its mighty thumb on the scale, supervised injection sites will probably spread. But don't expect the shouting match to stop. Mark Kleiman is a veteran of the drug-rhetoric wars. The problem with the drug debate, he says, "is that it's conducted between the disciples of Michel Foucault and the disciples of the Marquis de Sade." Foucault believed that the only crime is punishment. De Sade thought the meaner the punishment, the better. Mr. Kleiman, a bushy bearded liberal Democrat, is a professor of public policy at UCLA and a leading expert on drug policy. His new book, Drugs and Drug Policy: What Everyone Needs to Know, is an invaluable guide to the facts. He favours harm-reduction programs such as Insite. But he also thinks that people who endorse the disease model of addiction can be just as ideological and simple-minded as the law-and-order crowd. "Some disease proponents ignore the fact that drug abuse is a disorder of the will," he says. "In my view, disease and bad habits are completely consistent descriptions of the same behaviour." Another truth that harm-reducers play down is that not all the harm of drug abuse accrues to the user. To people in drug-ridden neighbourhoods, the drug user is the guy who stole their television set. The drug user is also the guy who keeps the drug dealers in business. 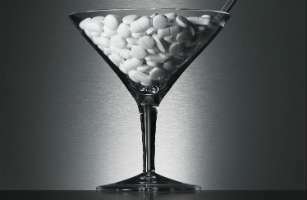 The rate of hospitalizations following overdose skyrocketed in people aged 18 to 24, the new study found: overdoses involving alcohol in combination with other drugs increased 76%; overdoses involving drugs other than alcohol rose 55%; and those involving alcohol alone went up 25%. The most striking rise was seen in overdoses involving prescription painkillers, which leapt 122% over the same period.